Our company is ranked among renowned Manufacturers, Exporters and Suppliers of Electric Wall Saw (BTS-540-1300) in Germany. 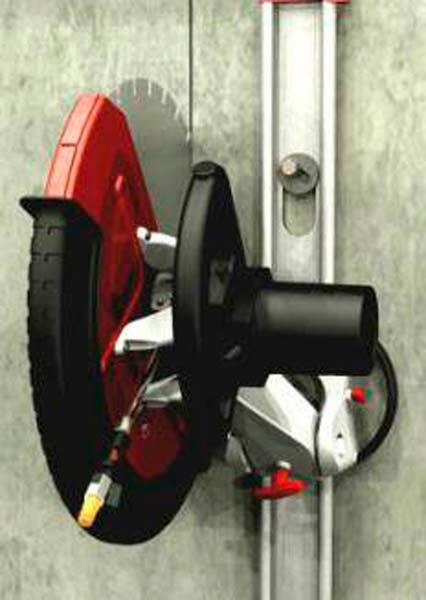 The wall saw serves as a fast non-complicated alternative to hydraulic driven wall saws for cutting jobs up to 26 cm. Buyers can purchase the Electric Wall Saw (BTS-540-1300) from us in varied specifications and ask for individually tailored solutions. We offer the Electric Wall Saw (BTS-540-1300) in bulk and make on time delivery.